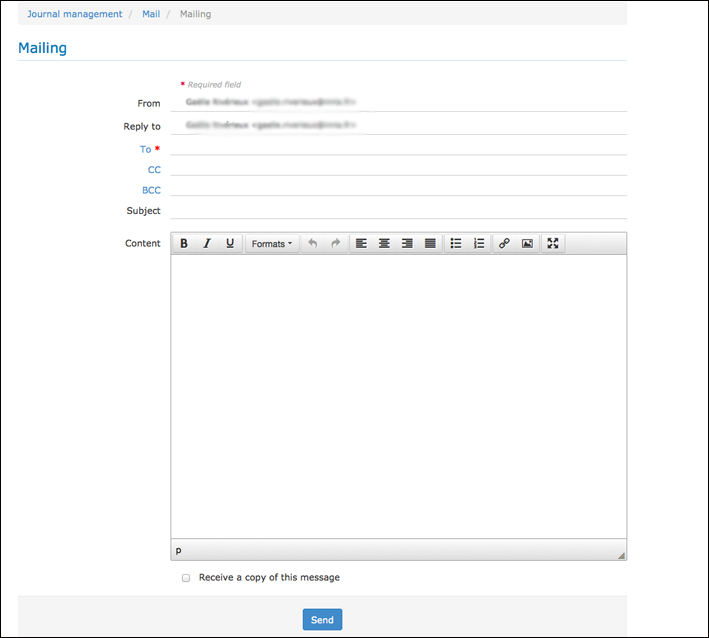 A mailing tool is available to contact users in the menu Journal management/Mail/Mailing. to select a slot of recipient by clicking to the “To” label, then a new window is open. 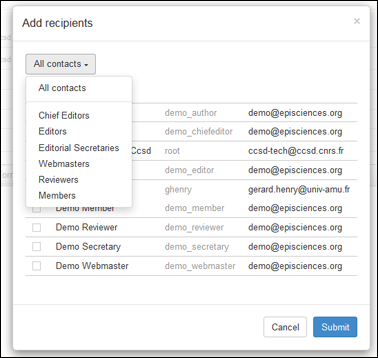 All contact or a selection (by name, by role) can be selected for the mailing. After the selection of the recipient, clic to “submit “ and close the window. 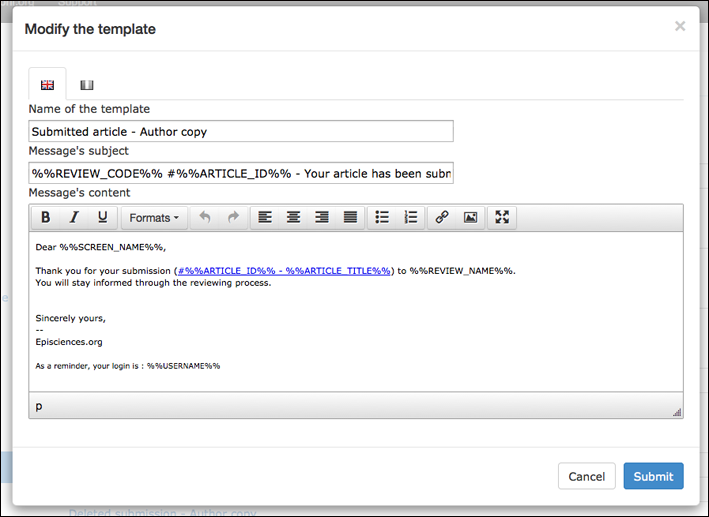 To display the available templates, go to Journal management/Mail/Templates. The name, subject and content of the message can be customised. See Variables to insert in mail templates to change the “tags” used by the mailing module. 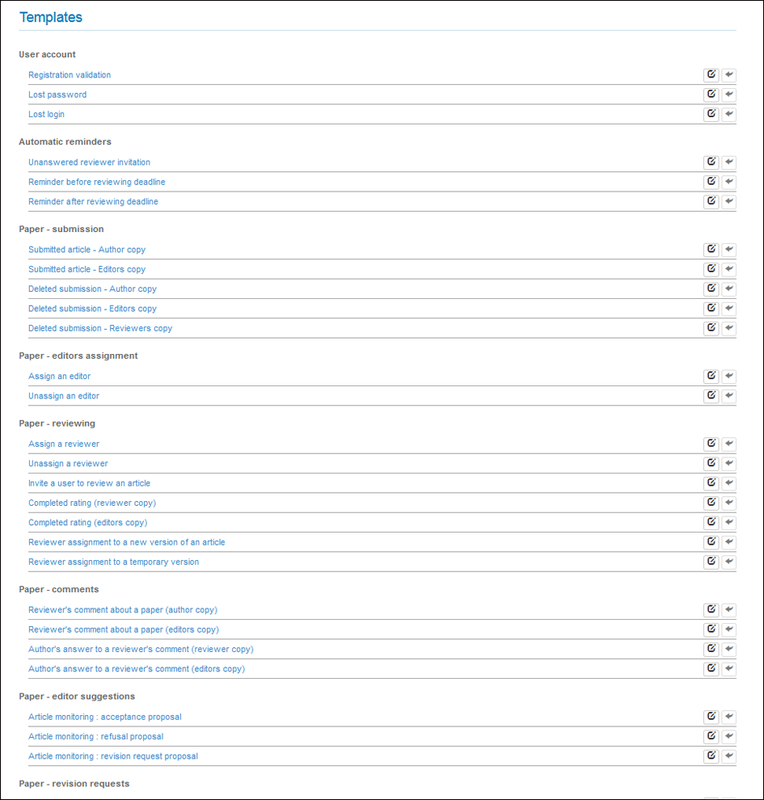 The mail history section lists all messages (automatic notifications and emails) sent via the platform. It is available in the menu Journal management/Mail/History.